It manages to introduce a lot of concepts in just about 130 pages although hastily and with rather brief explanations. Some parts turn out to be cryptic and obscure, especially to someone not already versed in functional programming. Some parts from Chapter 7 should have been in the first chapters given that those concepts are used early in the book. The presentation is generally abstract and lacks real world, concrete examples to support the author's enthusiasm. Most of all, the book is littered with errors and inconsistencies between text and code samples. The author also grossly embarrasses himself with a faulty discussion of computational complexity. I'd say the book was assembled quickly and certainly lacked a proper review. 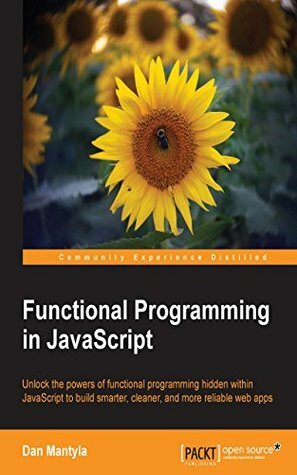 Great book on functional programming. 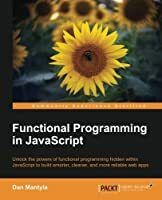 Discusses category theory and has practical tips towards the end on optimizing functions. Check it out! Another good thing about this book, that he is not going deep to theory, but he gives you enough to understand concept and for everything he provides examples. This book is only 133 pages, but I think Dan was able to cover all area of FP. The prose is very verbose, unfocused, and filled with spelling errors. I purchased the Ebook which is very poorly formatted with bad line breaks in the code examples and lots of random blank pages throughout. Perhaps with some tight editing it could be significantly improved, but in its current state the Ebook is practically unreadable. I'm really disappointed because I need to learn about this topic.